FRP bypass APK is very simple to deactivate on your Android, and it is so easy that any Android user. 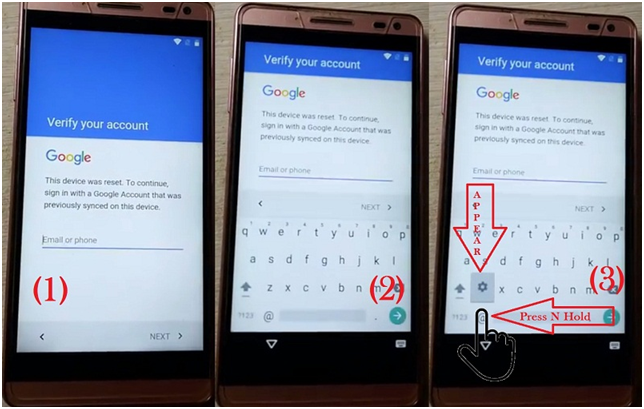 It can easily be performed this function to bypass FRP lock using FRP bypass method mention in this article, and this method will make you champion that you can also help other to bypass their FRP on android device with the help our methods available in this article. There are many methods in the market and software which says that it helps you out with the FRP bypass but if that method was working so our viewer and their viewers still asking us for FRP bypass method. It doesn’t mean that the way or software providing on article or videos is not correct but the convey to deliver the message of FRP bypass is not understanding to the Android users. So I will try my best to define the FRP bypass method so more than 55% of android can be easily understood and implement it on their Android device and free from FRP bypass. 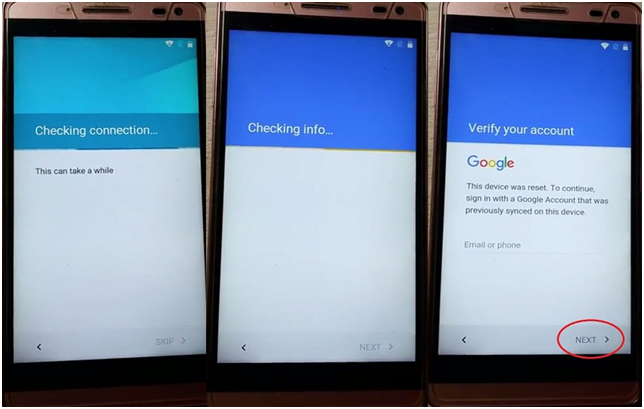 Before, we start the method of how to unlock the FRP from the Android device. The Device makes your phone easy to operate with our any cost which is a significant appreciation to for the users. First, we have to get some knowledge about what is FRP and how its work in Android devices. 1 Do you know what FRP is, and how it performs on Android? Do you know what FRP is, and how it performs on Android? FRP is the abbreviation of Factory Reset Protection which means it protects the android device as a security purpose which is designed to make sure that no one can wipe your personal data from your smart android device and reset your phone. 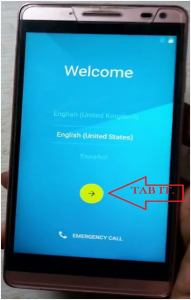 This system is in standard foam starting from the Android Lollipop 5.0 and getting better day by day which means that if your phone is stolen or lost then your data can be wiped out instead of the leak to the public. For FRP Bypass we choose one android phone with the operating software Android Lollipop 5.0. This phone belongs to one of our team members, and in this phone, an android user had missed the Google ID, and our office person don’t know that what was the ID of its Android device, so we will start the FRP Bypass on this android device. Note: This phone is MTK based mobile, and we can also solve this problem through viral but we will be solving this problem without it. You need an internet connection through Wi-Fi or SIM, so we use Wi-Fi internet connection. We have to tab on the arrow in a yellow circle on your device screen. Now on this step just press the skip button, and you will be on the next step where you have to select your Wi-Fi network as I did to define you. Now, this phone is connecting to the Wi-Fi internet connection. It is the simple trick which comes through the MTK boot on android board. 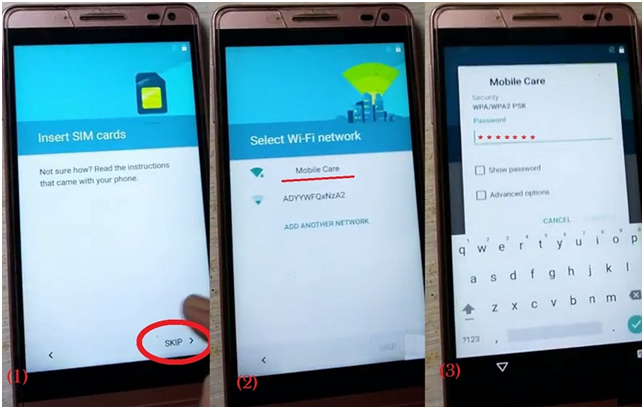 Now after you completed the Wi-Fi step the next button is not visible to click. In this step select the email or phone entry option on the screen as you can see in the screenshot when you choose this option the keyboard will appear and at the keyboard press and hold on the “@” key so you will get the setting icon. 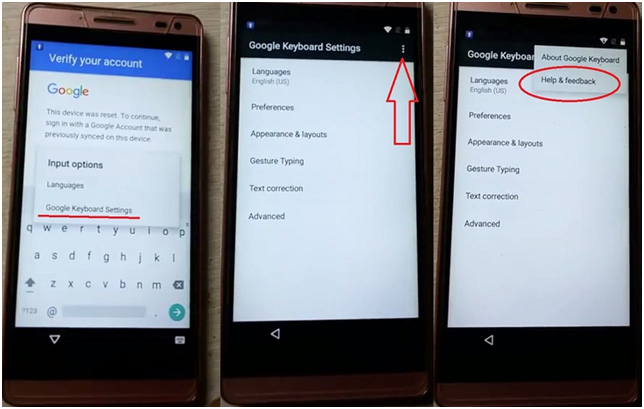 Now you have entered the Input options, here select the Google keyboard setting. Please Note: when we enter this menu we need no changes in any of the given option as you can see in the screenshot. At the top right on your device screen, you will get three dots at vertical line click on it and select the Help & feedback option. 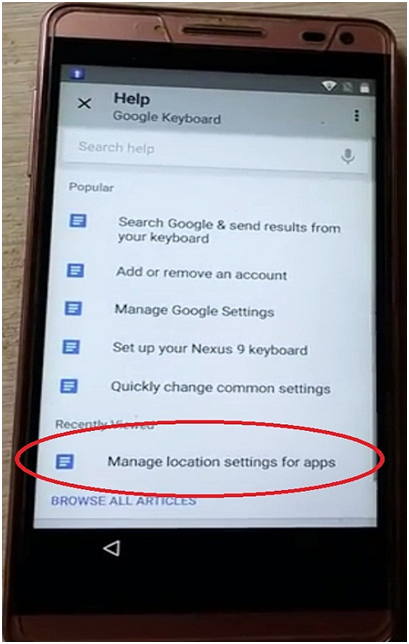 In this step you have entered the Help & Feedback room, now enter the manage location setting for apps. 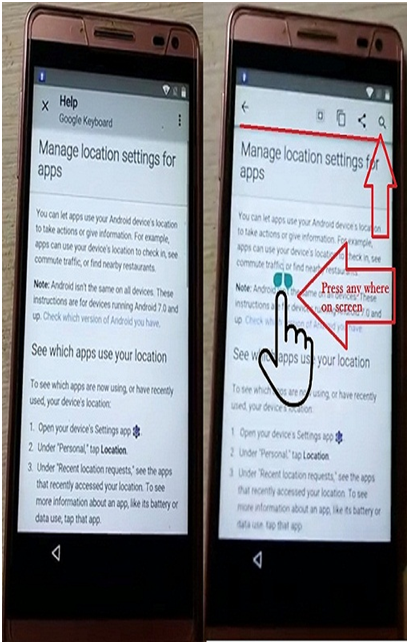 In this step need to press anywhere on the screen as we normally do in every android device to copy or paste for the text. Now you can see the search bar appears on the top of the screen click on it. 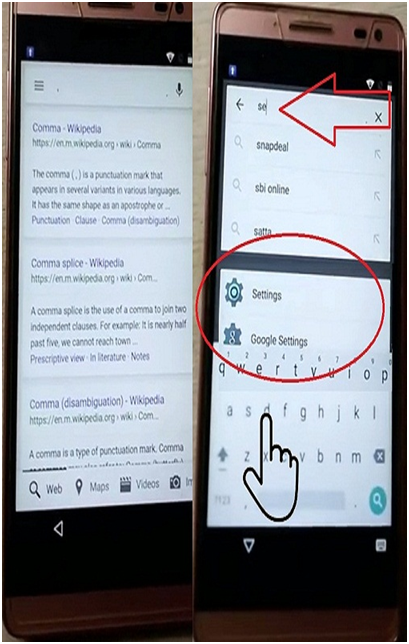 In the search bar, you will get the Google search menu as you can see in the screenshot, you need to type in the search bar “setting.” You will get the set function icon select it. 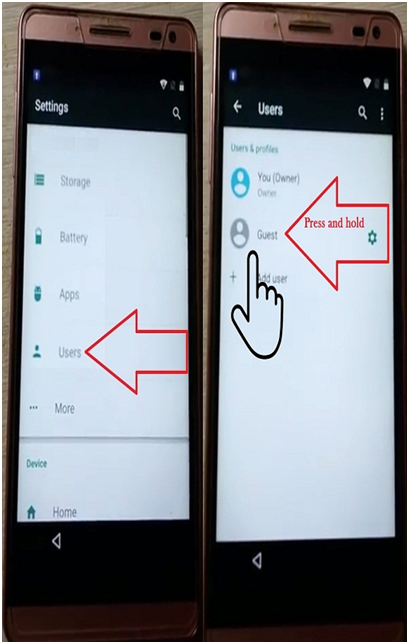 Now we are entered into the sitting room of android phone; here you will get all the setting option as usual, we get in android device. Please Note: Do not go to the Backup & reset option in setting. Scroll down to the Users option and select it. Here in User room you can see the You (Owner), Guest, +Add User option so press and hold the Guest option for three – five second to switch off this option because the Google ID and other email ID are placed in the guest option. 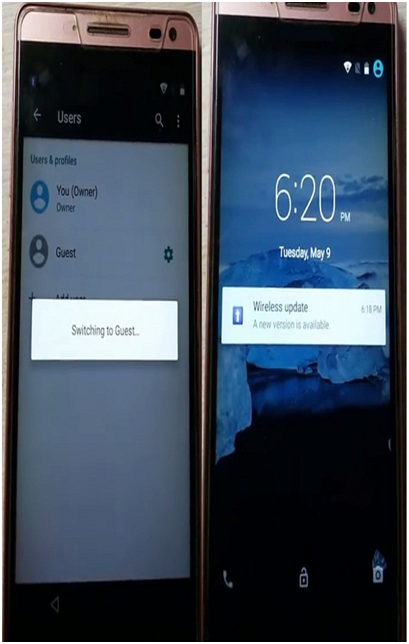 In this step, the user will switch or off and the FRP lock will remove and when this process completed your phone is ready to operate as new without any email ID. Now enjoy your Android phone by entering new email ID which you know. Android needs to be constantly toward feedback to continuously les secured What’s more its developers have acted ceaselessly will make those stage protected also guarantee the security of the clients. 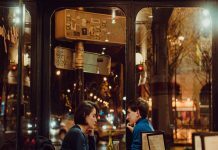 Getting through those plant reset insurance will be as a rule a test faced by a considerable measure about Android clients each the long run. For this article, we provide for the perfect for how with undoubtedly “Bypass production line reset protection” What’s more discovered the replies to A percentage of the practice as relatable point inquiries required Toward our viewers. We have attempted to incorporate each relic that might have been vital on examine the “FRP Bypass Unlock,” and it’s utilized.